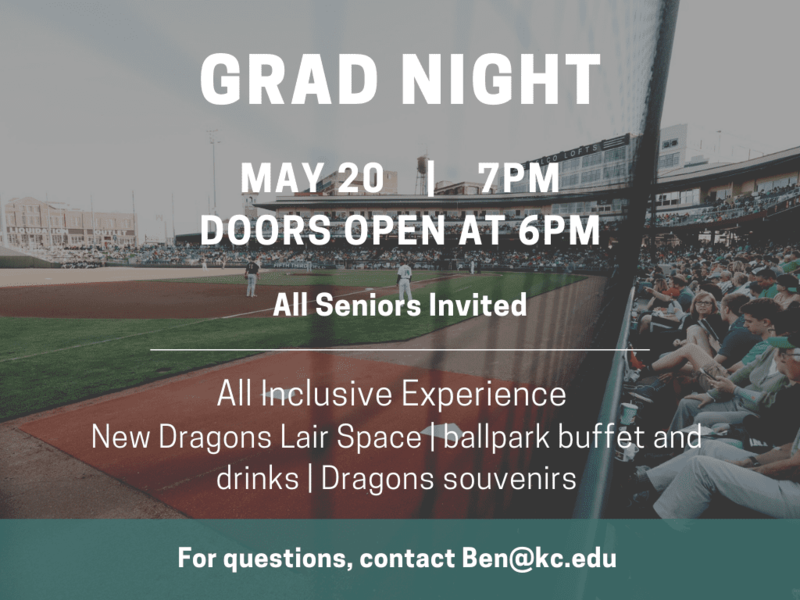 April 8, 2019 – All seniors are invited to Grad Night at the Dayton Dragons Baseball Stadium (Fifth Third Field, 220 N Patterson Blvd, Dayton, OH 45402) in the New Dragon’s Lair space. Seniors can enjoy an all inclusive experience which includes food and drinks, a buffet of ballpark favorites, sides, desserts, soda/water and souvenirs such as a dragon’s hat and dragon’s t-shirt. The event will be held on May 20 at 7pm. Doors will be open at 6pm. For questions, contact Ben@kc.edu.